A copyright infringement case filed in the Northern District of Texas (Dallas) and involving allegations that Facebook—by virtue of acquiring Oculus VR (“Oculus”)—had stolen computer code from ZeniMax Media Inc. (“ZeniMax”) in order to create its virtual reality headset (the “Oculus Rift”) was recently decided in favor of ZeniMax. However, this week (June 27th), the judge halved the jury’s original $500 million verdict (down to $250 million) and rejected ZeniMax’s request that the company ban sales of Oculus headsets. Oculus was originally unsuccessful in arguing that ZeniMax’s copyright infringement claims “were not substantial” because only seven out of 42 billion lines of computer code in the Oculus software was copied from ZeniMax. Facebook was added as a defendant after acquiring the small company that came up with “the Oculus headset,” as used by video game players, in 2014. In its claim, ZeniMax alleged that Oculus itself had used ZeniMax’s intellectual property to develop the software and hardware for the headset after one of its “star employees” joined with other entrepreneurs to form Oculus as a company. ZeniMax also claimed that this particular star employee had violated their non-disclosure agreement in doing so. Prior to going to court, ZeniMax claimed that it attempted to resolve these issues with Oculus prior to the company being acquired by Facebook. Specifically, ZeniMax stated that it had directly asked to be compensated for its intellectual property through equity ownership in Oculus, but the parties were unable to reach a resolution. Oculus denied these claims altogether. The jury originally awarded ZeniMax $200 million for breach of contract (i.e. 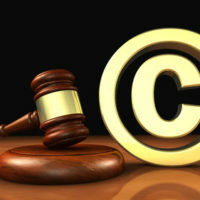 violation of the non-disclosure agreement) and $50 million for copyright infringement (i.e. for false designation of origin charges), as well as an additional $250 million in damages against Oculus’ co-founders. However, the jury found that the defendants explicitly did not misappropriate or steal trade secrets, bringing that extra damage award of $250 million into question. In late June, the judge wiped out this additional $250 million award, and sided with Oculus (and Facebook) on the claim that awarding ZeniMax a sales ban would place an unfair hardship on the company, its business partners, and its customers. Still, Oculus and Facebook have announced that they intend to appeal the breach of contract and copyright infringement claims. The Brownsville, Texas commercial litigation attorneys of Colvin, Saenz, Rodriguez & Kennamer L.L.P. have been representing clients involved in complex litigation cases like these for more than 60 years. We customize our representation to serve our clients’ needs, and work in all areas of business torts, including but not limited to trademark and copyright infringement, breach of contract claims and contract disputes, and many others. To schedule a consultation, contact us today and find out more.